Ari Banerjee works for Netcracker as Vice President of Strategy, responsible for the company’s strategic direction and enabling it to address changing market and technology opportunities. 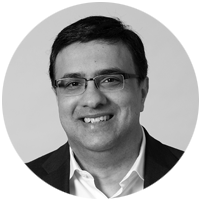 He is responsible for all aspects of Netcracker’s strategic initiatives across its BSS/OSS and SDN/NFV business lines, including customer, product and technology management, market direction and corporate communications. Ari interfaces with CTOs and CIOs at customers and prospects to ensure the alignment of technology, products and services while providing strategic input to the CTO office, product management and R&D teams. In his role, Ari collaborates with industry organizations, standards bodies, media and analysts and is responsible for running marketing and strategic partner programs for Netcracker.